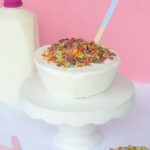 Once you take a bite of this cake you’ll be living in a world full of unicorns, rainbows, & pixie dust. 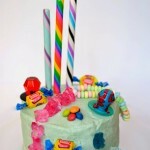 This cake is everyone you’ve ever dreamed of during your childhood. 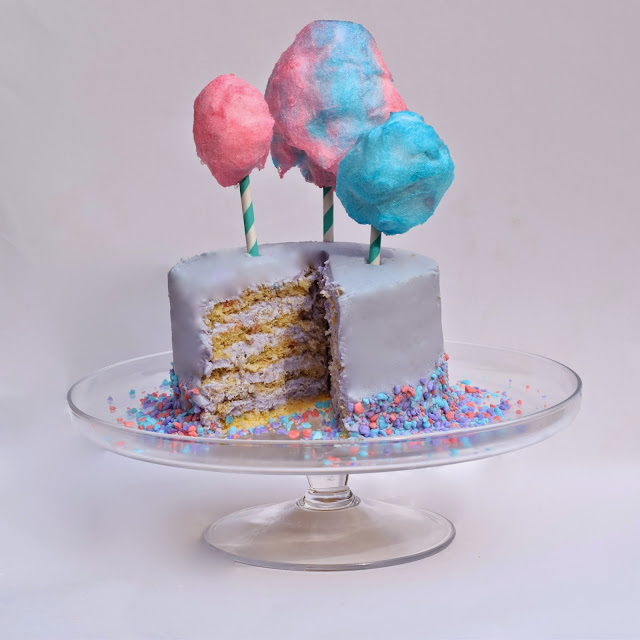 Layers of cotton candy cake, covered in cotton candy frosting, & topped with real life cotton candy, it truly is a dream come true in a cake form. 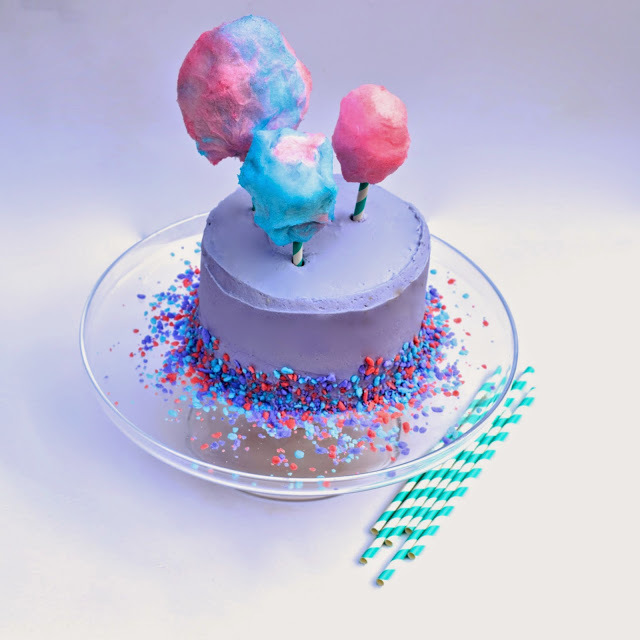 No longer do you need to go to a carnival for cotton candy because this cake is all you need & more! 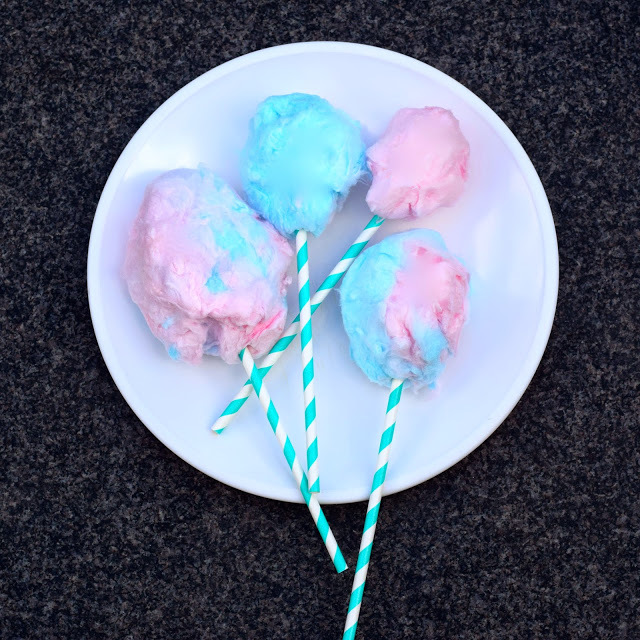 In large mixing bowl, combine all cake ingredients except the cotton candy crunch. Mix until smooth. Preheat oven to 325 F (convection oven preferred). 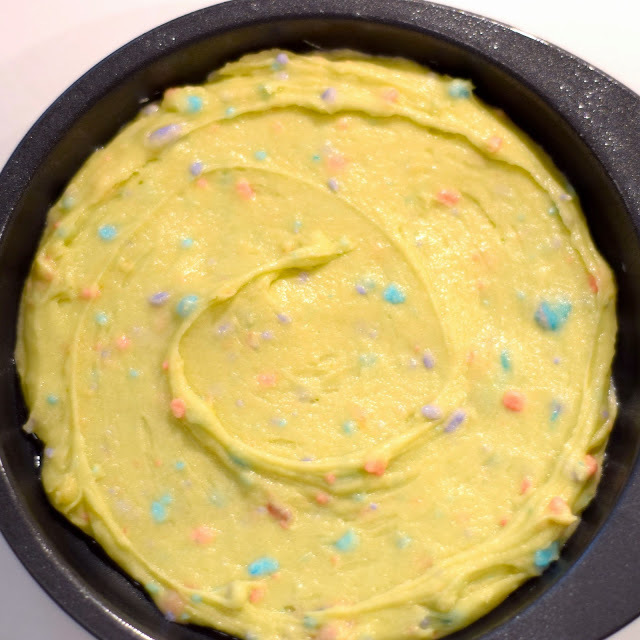 Grease all cake trays & fill evenly with cake batter. 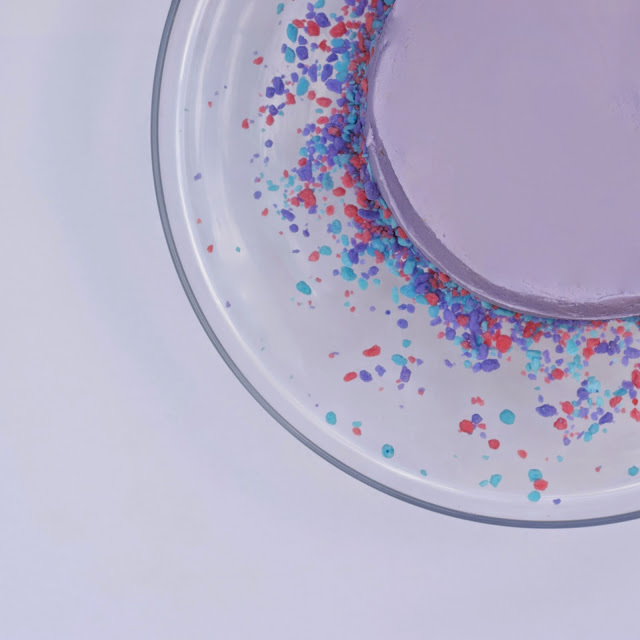 Sprinkle cotton candy crunch on top of each batter. 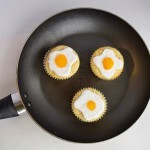 Bake cakes for 8-10 minutes or until toothpick is inserted & comes out clean. Let cakes cool in fridge for 10 minutes. 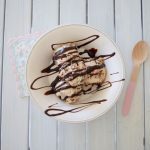 In large mixing bowl, combine all frosting ingredients. Mix until smooth. 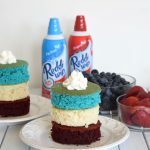 Remove cakes from fridge & from cake trays. Place one cake on top of the cake stand. 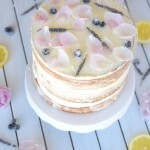 Using the offset spatula, layer frosting on top & then place another cake on top of the frosting. Repeat until all cakes have been used. Use remaining frosting to cover the sides & top of the cake until it is completely covered & smooth. 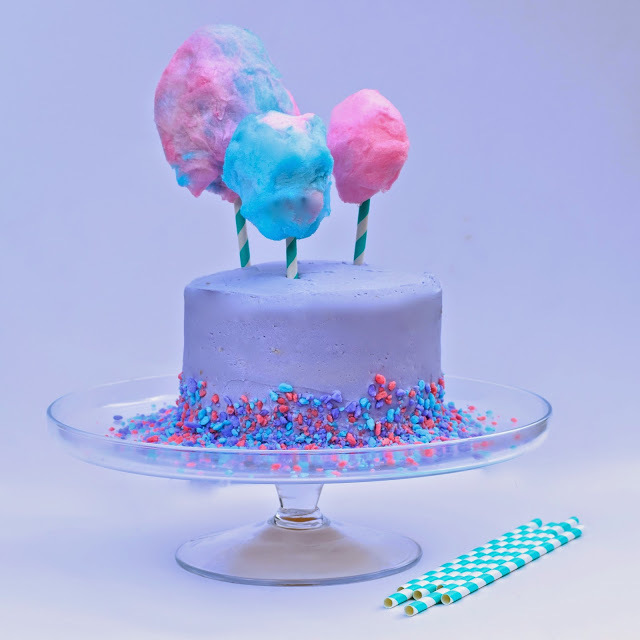 Sprinkle bottom of cake with cotton candy crunch. 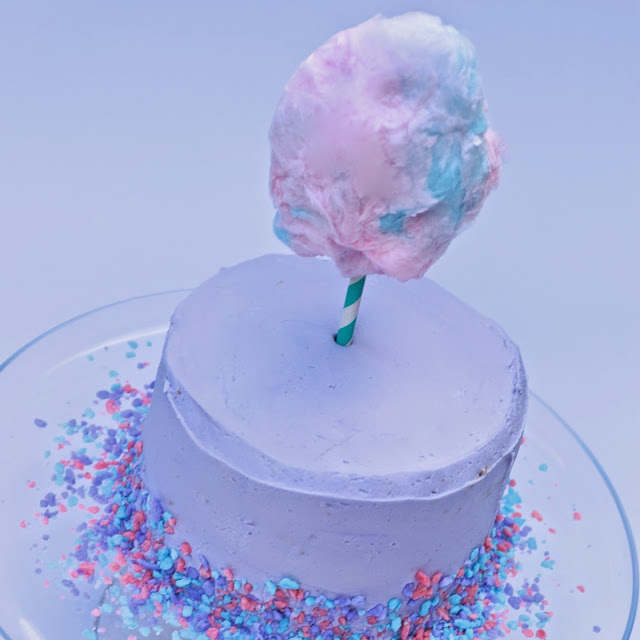 Top cake with cotton candy.